Other accessories There are 21 products. 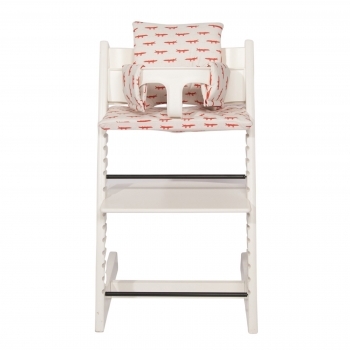 This cushion from Trixie’s diabolo collection fits your Stokke TrippTrapp® perfectly. 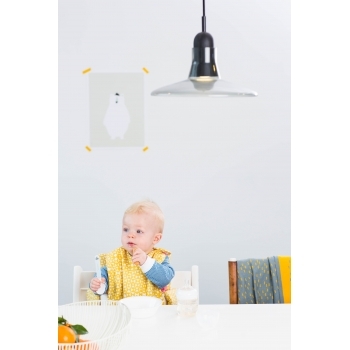 It gives your highchair a happy and personal character and at the same time make sure your child is sitting comfortably. The cushion even grows with them: it can be used without the brace for longer use. 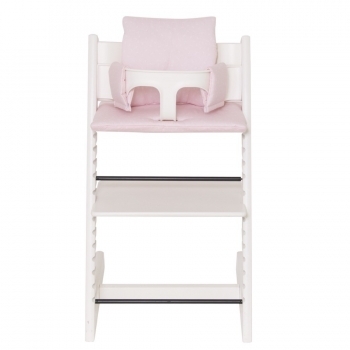 This cushion from Trixie’s pebble pink collection fits your Stokke TrippTrapp® perfectly. It gives your highchair a happy and personal character and at the same time make sure your child is sitting comfortably. The cushion even grows with them: it can be used without the brace for longer use. 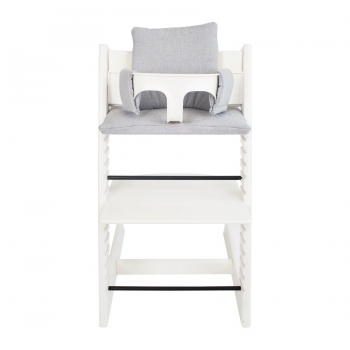 This elegant cushion in sirene grey fits your Stokke TrippTrapp® perfectly. It gives your highchair a classiy and personal character and at the same time makes sure your child is sitting comfortably. The cushion even grows with them: it can be used without the brace for longer use. 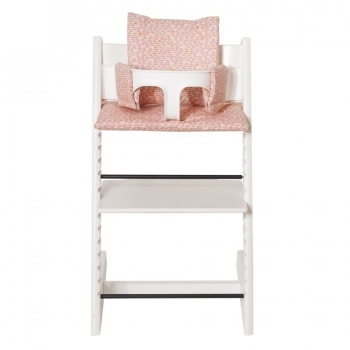 This elegant pink cushion with white bows fits your Stokke TrippTrapp® perfectly. It gives your highchair a classy and personal character and at the same time makes sure your child is sitting comfortably. The cushion even grows with them: it can be used without the brace for longer use. 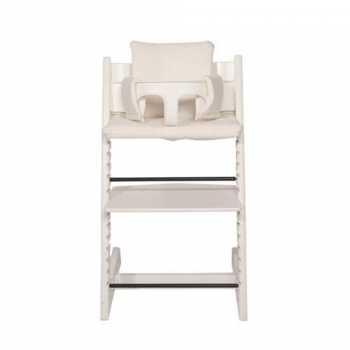 This elegant cushion in diamond ivory fits your Stokke TrippTrapp® perfectly. It gives your highchair a classy and personal character and at the same time makes sure your child is sitting comfortably. The cushion even grows with them: it can be used without the brace for longer use. 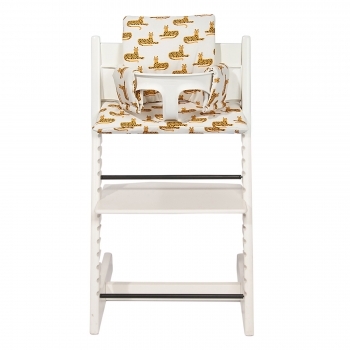 This cushion from Trixie’s crocodile collection fits your Stokke TrippTrapp® perfectly. 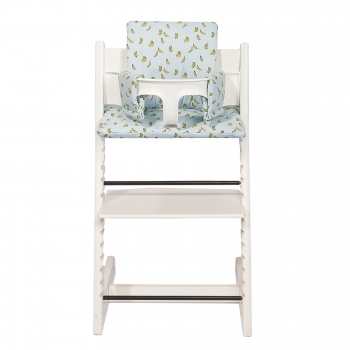 It gives your highchair a happy and personal character and at the same time make sure your child is sitting comfortably. The cushion even grows with them: it can be used without the brace for longer use. The Liewood doll house is every child's dream! 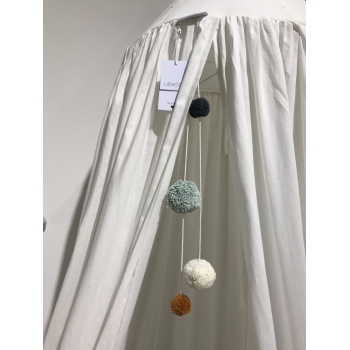 It is the perfect house for all toys, animals and dolls just and such a cool accessory for your home. 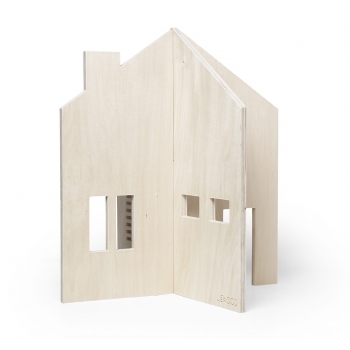 The doll house is made of birch veneer, it's soft to the touch and has a simple, time-less design which can last generations. 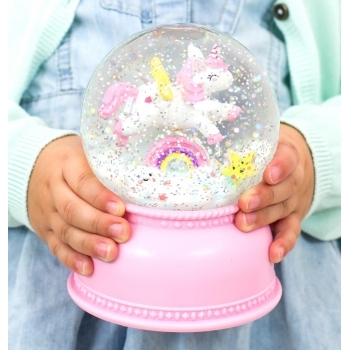 This Limited Edition Unicorn snow globe is oh so magical and a true eye catcher in your little girl’s room. 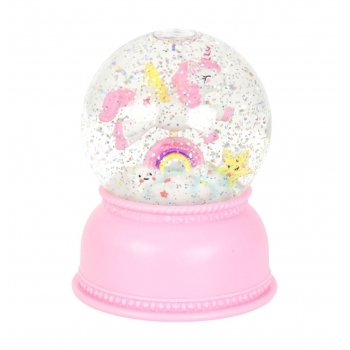 A cute unicorn, rainbow, cloud and star float inside this snow globe. And that is not all! With the on/off switch at the bottom, you activate a little light that changes colour and lets the bright glitters dance around. Truly magical ! 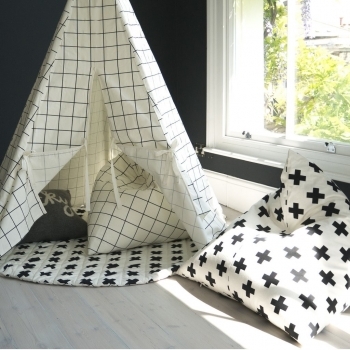 Black and white cross kids bean bag. The pyramid design creates the perfect seat shape for little bottoms. The cotton cover zips off and can be machine washed. 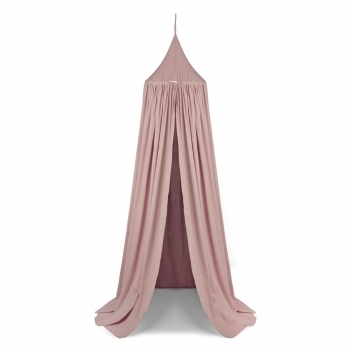 The perfect addition to any bedroom or playroom and completes the Wildfire look fitting perfectly inside their teepees! 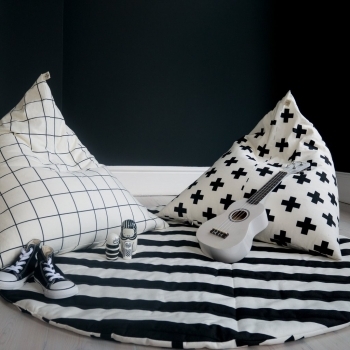 Black and white stripe kids bean bag. 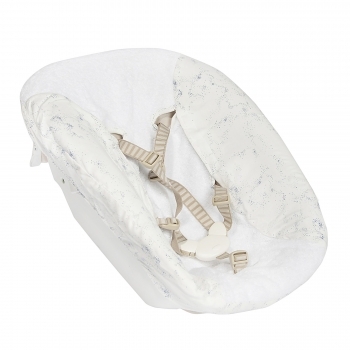 The pyramid design creates the perfect seat shape for little bottoms. The cotton cover zips off and can be machine washed. 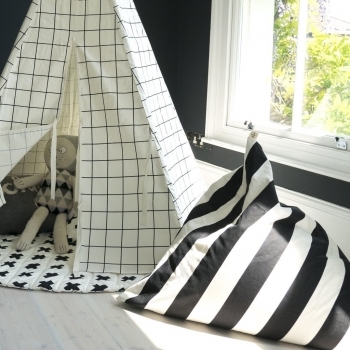 The perfect addition to any bedroom or playroom and completes the Wildfire look fitting perfectly inside their teepees! 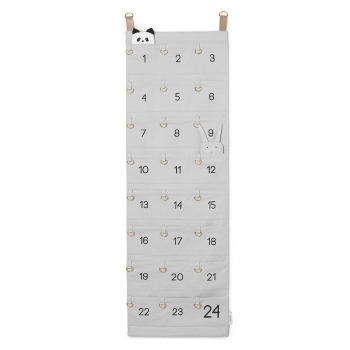 This cushion from Trixie’s collaboration with Atelier Bingo fits your Stokke TrippTrapp® perfectly. 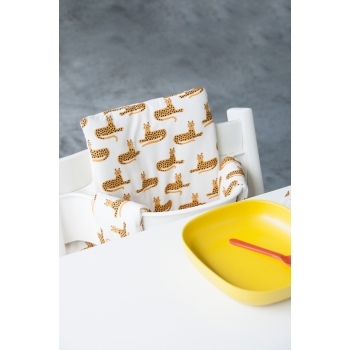 It gives your highchair a happy and personal character and at the same time make sure your child is sitting comfortably. The cushion even grows with them: it can be used without the brace for longer use. 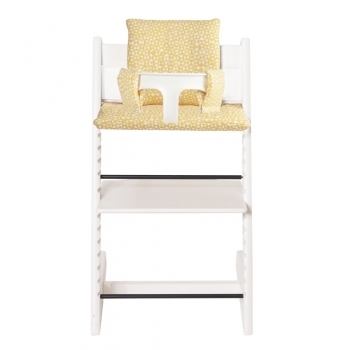 This cushion from Trixie’s Bananas collection fits your Stokke TrippTrapp® perfectly. It gives your highchair a happy and personal character and at the same time make sure your child is sitting comfortably. The cushion even grows with them: it can be used without the brace for longer use. 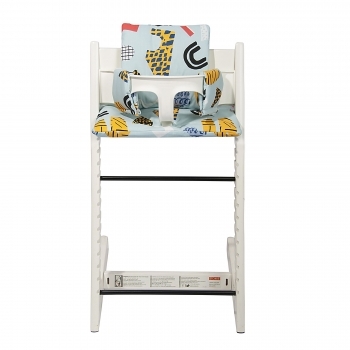 This cushion from Trixie’s Cheetah collection fits your Stokke TrippTrapp® perfectly. It gives your highchair a happy and personal character and at the same time make sure your child is sitting comfortably. The cushion even grows with them: it can be used without the brace for longer use. 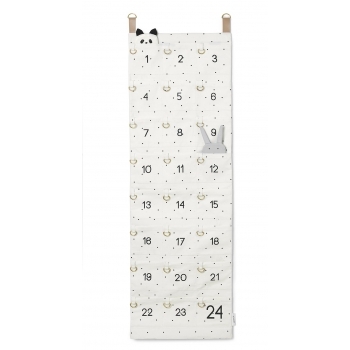 This cover in Cosmos print is especially designed for the Babybjörn® Balance (soft) bouncer. 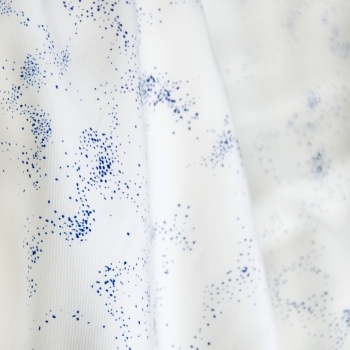 The cover is made out of 100% cotton. 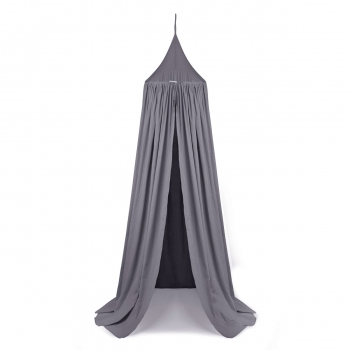 Perfect to keep your bouncer clean or breathe new life into your old bouncer. 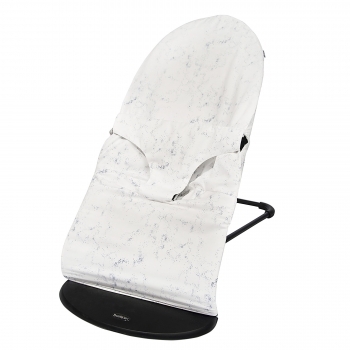 This cover in the new Cosmos print gives your Stokke® Tripp Trapp Newborn Set a more personal and elegant look. 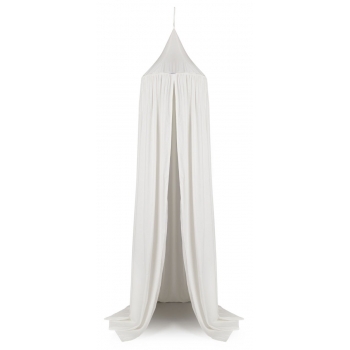 The seat cover is partially in terry cloth which absorbs really well in the summer months.